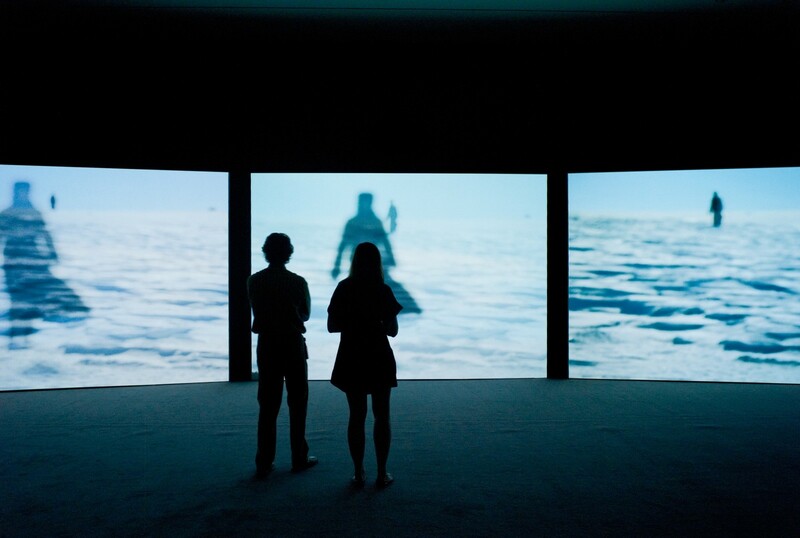 Museum goers will have a chance to experience an immersive, cinematic re-imagining of the discovery of the North Pole [film was shot in Iceland and Sweden] in the upcoming audio-visual installation Arctic Re-visions: Isaac Julien's True North, on view June 5 - October 3, 2010 at the Akron Art Museum. "We are thrilled to present the Midwest debut of British artist and filmmaker Isaac Julien's seminal audio-visual installation True North, which is an important addition to the Akron Art Museum's collection," said Ellen Rudolph, curator of exhibitions. 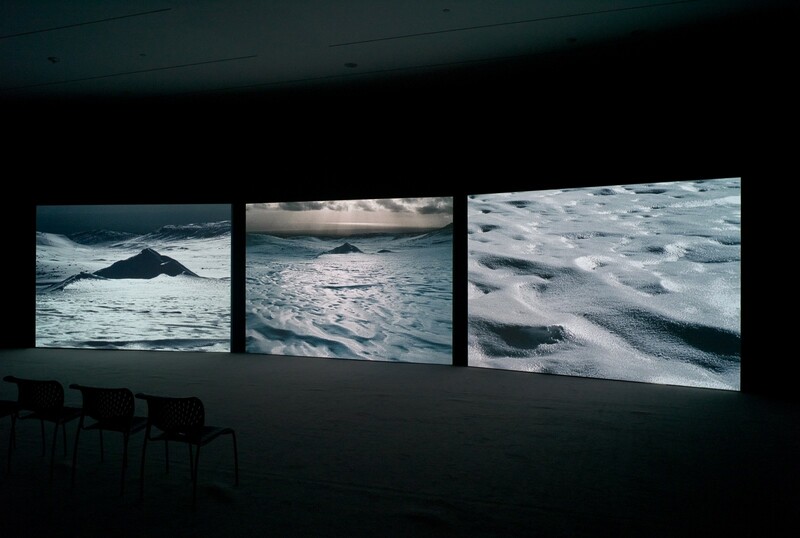 Unfolding on three screens that span nearly 40 feet, the mesmerizing installation transports viewers through a bleak yet sublime arctic landscape, which has seduced scientists, explorers, writers and visual artists since the 19th century. True North is loosely inspired by the story of Matthew Henson (1866-1955), the black American explorer who accompanied Robert Peary and was among the first people to reach the North Pole in 1909. The video's narration is taken from a shocking interview in which Henson claimed that he had reached the Pole before Peary. Henson stated that they argued about it so forcefully that he feared Peary might murder him. In this fragmented narrative, Julien opens up the history of polar exploration to re-examine it in terms of race and gender by casting Henson as a black woman. As she retraces Henson's steps across the frozen landscape, she hauntingly recounts his words, while mysterious sounds and music echo the vast, isolated landscape. Julien sets up a meditative pace by which to contemplate the stark contrast between black and white, the wide open spaces and the fragmented story of discovery and betrayal that is slowly revealed. Installation run-time is 14 minutes, playing on a continuous loop in the Karl and Bertl Arnstein Galleries.